Murramarang National Park: Situated on the coast just north of Batemans Bay and south of the Kioloa State Forest, this beautiful park protects the animals and flora of the region. Picturesque beaches, wetlands, waterways and rainforests can be found here, there are plenty of walks that allow you to explore. There is plenty of wildlife about in the park. Colourful birds include parrots, lorrikeets and rosellas and seabirds such as pelicans and sea hawks. Australian marsupials living here include possums, bandicoots, kangaroos and wallabies can be seen. Bird watching is enjoyed here also, not only does the park abound in native birds, there are flocks of migratory birds at different times of the year, coming from afar as Siberia, South East Asia and beyond. Note: please do not feed the animals as they are wild, they also know better as to what constitutes a good diet for themselves and how to find it without any human help. There are scenic walks within the park of varying difficulty but with great views, including some that take you to the top of Mt Durras, taking about three to four hours. 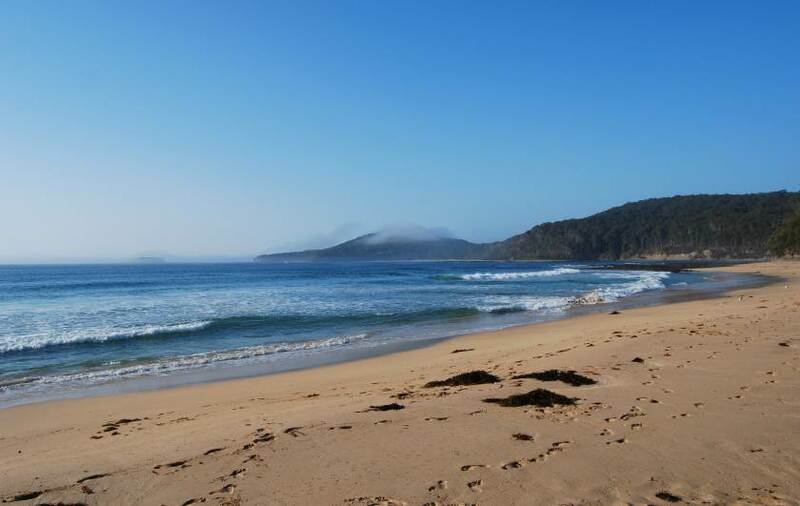 Others take you past beautiful wild beaches such as South Durras beach and Pebbly beach. This peaceful and pristine lake located wholly within the Murramarang National Park can be explored on the walking track that takes you through eucalypt and rain forests and around the gullies and coves of the lake. There are good places to swim and picnic along the way. Some of the many popular activities here and around the Shoalhaven region include fishing, swimming and bushwalking. There are places to camp and surf, both in the park and around. Mountain biking is gaining popularity whereas birdwatching has always been popular here. You can even go nightime animal spotting with a good flashlight (‘torch’ in Aussie). On the beaches you can try sea kayaking, diving or snorkelling, some of the seaside villages and towns offer surf lessons. Even see Kangaroos on Pebbly Beach. Enquire at the Shoalhaven Visitor Information Centre for information on Murramarang National Park. They can also tell you more about the places to visit and things to do, here and throughout the Shoalhaven Coast. Address Princes Highway, Ulladulla Civic Centre, NSW 2539 Phone +061 2 4455 1269, just opposite Ulladulla harbour.